It’s never fun when your MINI endures any damage to its stylish exterior. Whether it’s a dent, a scratch, or damage from a collision, it can be upsetting. However, when you’re in need of some cosmetic repairs or refurbishing, you can always take your vehicle into our body shop at MINI of Annapolis to bring it back to its original condition. We’d be happy to help perform the necessary repairs so your vehicle can resume its stylish appearance. Drivers in Annapolis, Highland Beach, and Hillsmere Shores can schedule repairs with us. Whether the weather has been particularly rough, or a driver has parked too close to your vehicle, some exterior damage is expected. Light scratches are common and they’re nothing to get too worked up over because the fix is quick, simple, and relatively inexpensive. If you’ve noticed any scratches as the result of fallen debris, harsh weather, or some unknown reasons, you can always give us a call so we can take a look and determine the best course of action to bring your vehicle back to its pristine appearance. Car accidents can be a scary experience, but as long as you’re safe and unharmed, you can rest easy. When you need to have considerable repairs performed on your damaged vehicle, we’d be happy to help you. We’ll make the necessary repairs by reforming the cabin, ordering new parts, and repainting the exterior to make it more recognizable as the vehicle you love to get around in. We’ll work diligently to get your vehicle back to you so you don’t have to interrupt your life by being without your car. When your vehicle is in our body shop, you can rest easy knowing that your car is in great hands. Our collision, body experts, and MINI health specialists are great at making repairs. They have a keen eye for detail, so they’ll ensure that your vehicle looks just as it did before it endured the exterior damage. Our body shop is equipped with the latest automotive tools that we can use to ensure that your vehicle is receiving the right repairs to bring it back to working order and its original appearance. You can always bring your vehicle in for a quick fix of restoring the paint or filling in cracks by giving us a call. However, if you endure an accident, you’ll want to make the arrangements with your insurance company and let them know that you want bring your MINI here for repairs. Let the tow truck driver know to drop your vehicle off here, so we can get started on making the necessary repairs to help get you back out on the road. Are you in need of body repairs or service? 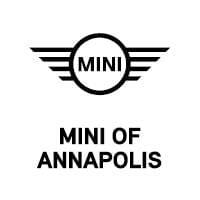 Contact us at MINI of Annapolis today! 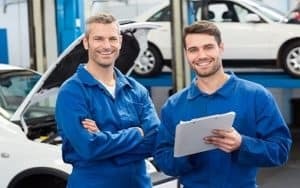 We’re always happy to help drivers in Annapolis, Highland Beach, and Hillsmere Shores with their automotive service and repairs.